Russia does not doubt Crimea is a part of Ukraine, even though it understands the emotions of the residents of the region, the chair of the Russian Upper House Valentina Matvienko has said. 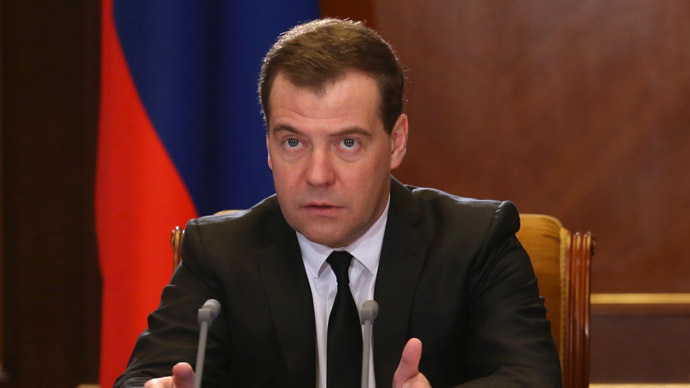 “Russia is not taking any provocative actions, especially on the state level. Today we consider it a fact that Crimea is a part of Ukraine,” the speaker of the Federation Council said in a television interview. “But it is also a fact that currently we are witnessing certain moods that have emerged after no one asked the Crimeans’opinion about the decisions that are being taken in Kiev,” Matvienko added. She met the chairman of the legislature of the Autonomous Republic of Crimea, Vladimir Konstantinov, and he assured her that the people of the region would defend their autonomy.Konstantinov said that about 60 percent of Crimean residents are ethnic Russians who care a lot about issues of national language, education and culture. 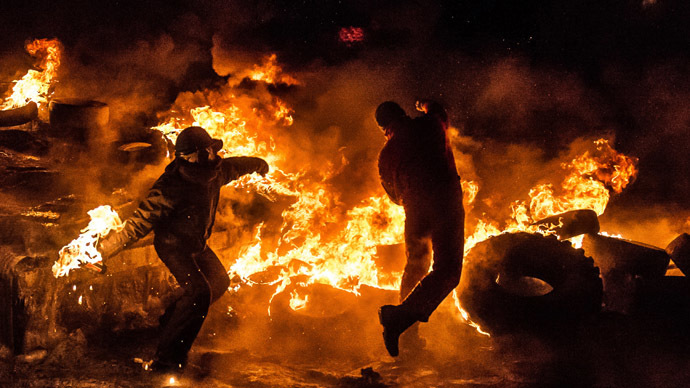 Officials and the people of the Eastern regions of Ukraine have voiced concern over the statements and moves of opposition leaders who came to power in the country on the wave of violent protests that raged in Kiev over the past two months. 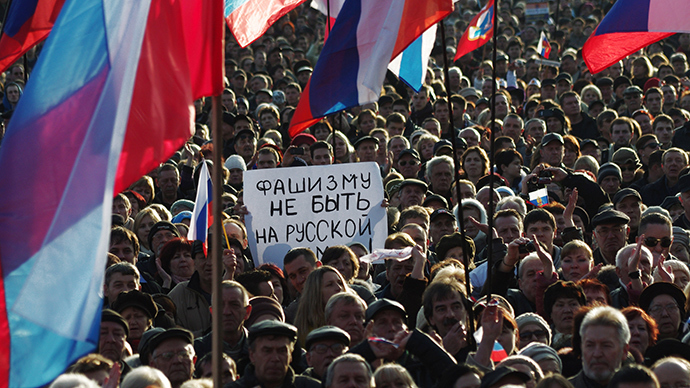 One of the crucial issues for them is the status of the Russian language. Almost immediately after President Viktor Yanukovich abandoned his post and fled last week, the Ukrainian parliament voted to repeal the existing language law. It had allowed regions where the non-Ukrainian population was 10 percent or more to introduce additional official languages. After the law was canceled the only official language in the country is Ukrainian. 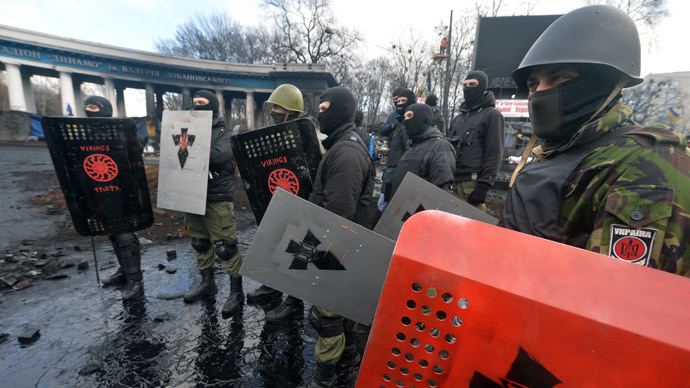 According to some sources, the head of the Freedom Party, Oleg Tyagnibok recently told supporters in Kiev that the use of the Russian language should be criminalized and all ethnic Russians should be stripped of citizenship and live under non-citizen status. 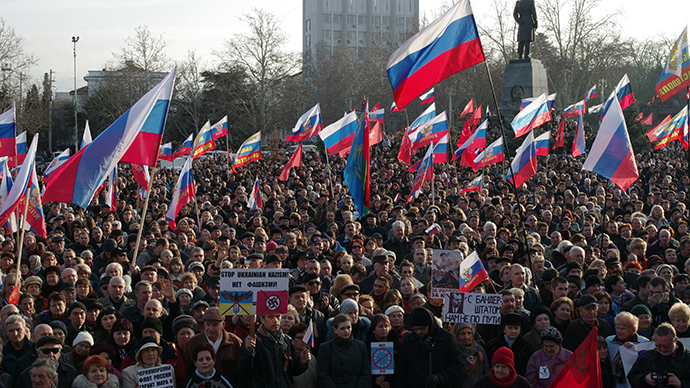 These moves and reports caused an upset throughout the East of Ukraine but the protests were especially vocal in Crimea. The peninsula’s historical and ethnic ties with Russia are stronger than those with Ukraine, and it is the only region that has a status of an autonomous republic. In addition, Russia leases the Crimean port of Sevastopol and the Russian Black Sea Fleet is stationed there. Russia has sent a delegation of MPs to the region led by the head of the State Duma committee for CIS and compatriots, Leonid Slutsky. “The cancellation of the regional status of the Russian language is a very worrying signal, as it can cause the narrowing of the Russian language space in Ukraine, including in education,” he told reporters during his visit. “They are trying to tear Ukraine away from Russia, including with the use of the language factor, through the opportunity of the younger generation to speak and receive education in Russian,” Slutsky added. “In this situation Russia must expand its cooperation with Ukrainian residents, up to every separate family that does not want to get disconnected from the Russian language and the Russian world,” the Russian MP emphasized. Earlier this week the nationalist Liberal Democratic Party of Russia initiated a bill that allows Russian citizenship within six month if the applicant successfully proves his or hers Russian ethnicity. This can be done by presenting documents proving that any of one’s direct ancestors had Russian citizenship by birth. The sponsors of the bill stressed that it was prepared especially to save Russian speaking Ukrainians from possible infringement of their rights.